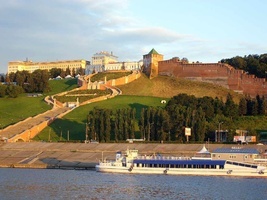 Volga River Cruises are a perfect opportunity to take a relaxing vacation and explore Russia. 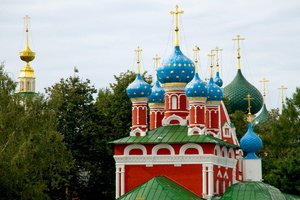 After taking such a cruise, you are guaranteed to get a better understanding of the Russian soul and spirit. 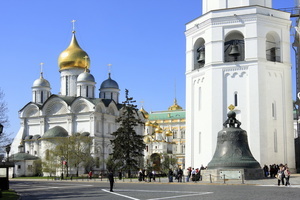 You will visit Russia’s prominent metropolitan cities of Moscow and St. Petersburg, as well as Russia's forested countryside with many small historical towns, former trading posts, and villages located on the banks of the Volga River, the so-called Golden Ring around Moscow and St. Petersburg. 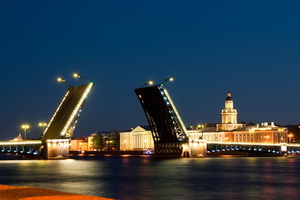 Volga River cruise is not a simple boat trip from one point to another - it's an unforgettable experience that will remain in your memory for all your life. 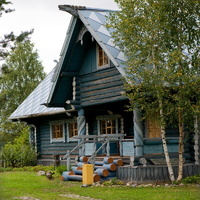 While traveling down the river between Moscow and St. Petersburg you will enjoy scenic views, spectacular sun dawns and sunsets, local scene, tasty Russian cuisine, exciting folk music and decorative arts, interesting lectures about Russia, helping you to immerse deeper into the Russian history and learn about Russia's culture and traditions. 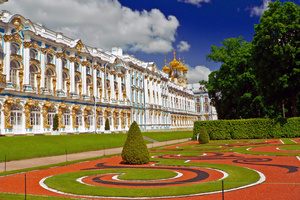 The MS Volga Dream CRUISE ONLY program from Moscow to St. Petersburg aboard the most luxurious ship on Russian Waterways. 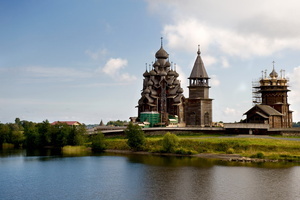 The cruise introduces you to the ancient Russian towns of the Golden Ring. 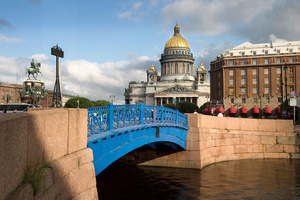 Several nights before and after the cruise are recommended in Moscow and St. Petersburg. Platinum Program aboard an elegant 5* vessel designed in classic decor and accommodating just 109 passengers. She is the best choice for travelers seeking intimate cruise experience and personalized service. 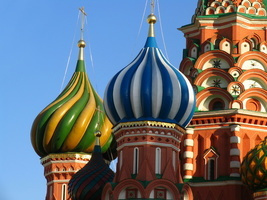 You will spend 3 nights at the hotel in Moscow, 6 nights onboard and 3 nights at the hotel in St. Petersburg. Moscow - St. Petersburg M/S "M. Rostropovich"
Moscow - St. Petersburg M/S "Konstantin Fedin"
Motorship “Konstantin Fedin” is a comfortable four-deck vessel (type 301). Built in Germany in 1980, refurbished in 2011, the motorship is equipped with modern navigational facilities and exceeds the speed of 26 km per hour (around 17MpH). 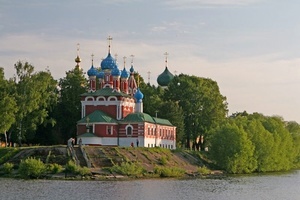 Moscow - St. Petersburg M/S "Nikolay Chernyshevsky"
Volga River Cruise on M/S ""Kronshtadt"
Moscow - St. Petersburg M/S "Shashkov"
Moscow - St. Petersburg M/S "Georgy Chicherin"
Sail aboard the deluxe Volga Dream ship from Moscow to Volga's delta on the Caspian Sea, and discover why there is a special Volga place in every Russian heart. Astrakhan - Moscow M/S "Nizhny Novgorod"
Moscow - Astrakhan M/S "Nizhny Novgorod"